The B-I-B-L-E! Yes that's the book for me...and you! And what better way to fill your heart with joy than singing songs about the Bible... sung VeggieTales style! Sing along to such favorites as Oh No What We Gonna Do" and "Keep Walking" and kid classics like "Joshua Fought the Battle of Jericho" and "Jesus Loves Me." The whole family can sing some heavenly praise with these 25 great Bible songs! 05. Who Built The Ark? 16. Oh No! What We Gonna Do? 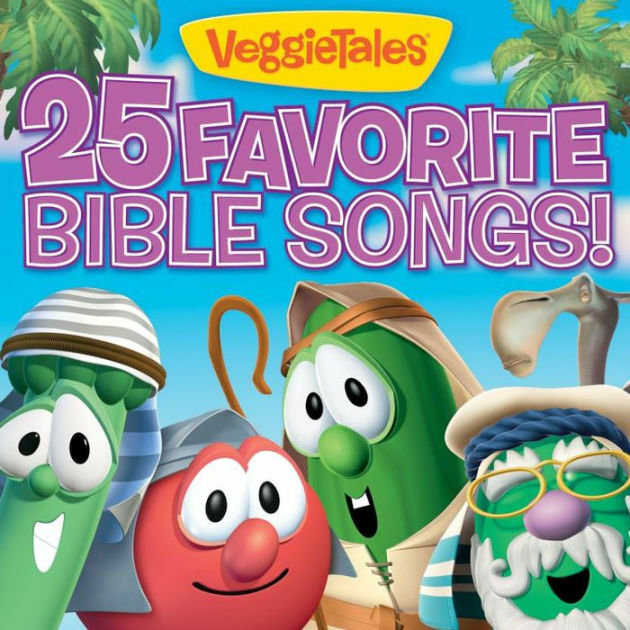 25 Favourite Bible Songs by Veggietales was published by Capitol in February 2016 and is our 3423rd best seller. The ISBN for 25 Favourite Bible Songs is 0820413116125. Be the first to review 25 Favourite Bible Songs! Got a question? No problem! Just click here to ask us about 25 Favourite Bible Songs.